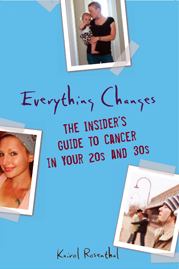 Everything Changes – The Guide to Young Adult Cancer » You Should Meet So and So – They Have Cancer Too! The cancer patients with whom I developed a real rapport were those who I already knew. There was a colleague at work who I felt very comfortable talking to. I never found a whole lot of comfort with any of the “cold call” patients, all of whom had my form of cancer, which you’d think would make it easier. I will talk to anyone. I know too much about this crap now– might as well share! You’re so right, Kairol. Thanks for addressing this. When I was diagnosed, my husband and I were in the process of trying to buy a house. Had to call the real estate agent and tell her all bets were off and why. A few days later, I got a call from her friend who also had non-Hodgkin’s lymphoma and leukemia and had lived with it for about 7 yrs. What a gift! Solid info, genuine understanding, the benefit of someone’s hard-earned experience. If the real estate agent had given me this woman’s number I wouldn’t have called — I would have thought, call a stranger?! And say what? “Hi, I’m Joni. A sucking black hole of need. Be my friend!” I didn’t understand the sort of networking and community that exists in the so-called “cancer world.” I’m so grateful that these women knew that and made the connection for me. As a survivor, I’m happy to participate in the bucket brigade and pass on the kindness that was extended to me by so many wonderful people. I don’t hesitate to make that contact. HOWEVER, I think it’s important to respect the fact that everyone copes in his/her own way. My role is encourager, not case manager. I reach out by email, offer my number, then back off and let them set the tone. And yes, four years later, we did buy a house from that real estate agent! When I was first diagnosed, I had people do that to me. Only one person was really “matched” with me. At my church, a friend of mine’s mother was diagnosed with papillary thyroid cancer at 15. I was 17 at my diagnosis, and this woman was in her 40s at this point. It felt nice to talk to her, but treatment back then was somewhat different than now, and the circumstances between us were different, too. It wasn’t the support I craved, and I knew it as much as the next person. I wanted someone my age, someone who was currently going through it or had just gotten themselves through it, and could talk to me about it. Unfortunately, that kind of help never came around. Now that I’m passed all that, I want to help anyone I can. The only problem is, I can’t relate to anyone except thyroid cancer patients. It’s frustrating to me, because I know that any person who comes to me will not be able to relate to me at all, and I won’t be the person they need to speak to. I joined up with Imerman Angels a couple of months ago. I can hardly wait to help someone around my age with a similar diagnosis. Joni’s comment brings up interesting cancer etiquette questions. 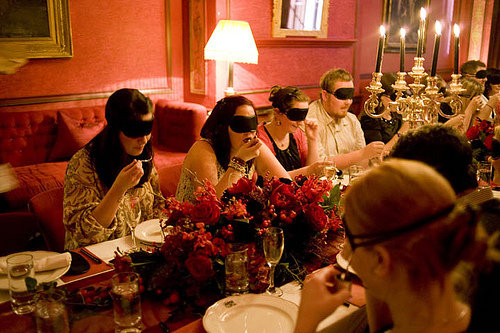 (I had to try 5 times until I got the spelling of etiquette correct!) feeling like I don’t want to invade someone’s privacy, I have my own little personal rule that I never take the number of a cancer patient and call them up. I let them take the initiative to call me. So it is interesting to read that you actually really appreciated getting a cold call because you would not have wanted to make the cold call. I like your system for offering up your phone number by email. My doctor set me up with a former patient of his, who had the same cancer and treatment as I had, and was around the same age when she was treated about 10 years ago. She called me up one day, and I had a lot of questions about treatment and wanted to know how it would be and things like that. She started off asking me if I was religious, and when I told her I was an atheist, she told me it was important to have faith in God! The conversation went downhill very quickly after that. She was a nice woman, and called again to check up on me, but it was not the kind of support I was looking for. I could have used some practical advice. I found Planet Cancer towards the end of treatment, which helped, though. I’ll talk to anyone that asks me about my cancer. If they ask, I’ll talk. As a survivor, I’ll wait until someone reaches out to me. My friends know they can always pass along my number. When I was diagnosed with Hodgkin’s in 1991 – I had no one to talk to – I don’t ever want that to happen to another person. In this day and age – there are TOO many modes of communication to leave anyone in the dark while dealing with any cancer diagnosis. I’ve been thinking a lot about being a patient advocate, which is different from a cancer support person, but similar in that you help and support people deal with medical issues. I like the idea of supporting other thyroid cancer patients, but I hesitate only because people just don’t cope the same way. I think it’s good to reach out no matter what and to try and connect, but if it doesn’t work for you, that’s OK too. I am hoping to meet up with two thyroid cancer patients soon and this will be my first in person meeting. I’ve only know that I have cancer for 4 months so I’m still learning what my boundaries are and how I deal with it. I’m finally learning to deal with the uncertainty of the disease. Yes Kairol, i have had my share of those well meaning stranger jewish set ups in my day. I never made a call, but there were some who called me…. Big Oy vey. As for the cancer connection I am happy to talk to anyone. I am happy to share my story and listen to another’s situation. if that can lead to ease a worry or create some peace, or even a moment of connection, I am more than happy to lend an ear. I was set up about a year post surgery with with a friend from college’s wife who just got dx’d and I was totally happy she called so I could share my experience with her and hear about her struggles and her situation….I met her recently and she said it was so helpful… but on the other side of the coin, I have a good friend who had breast cancer and we totally get each other but dont talk much about cancer because our belief systems dont especially mesh in this area: she believes that if you change your ideas, you can change the outcome, or that loving enough, clearing your chackras just the right way, all that stuff can make a difference. I respect her ideas but don’t share them so it can be like an aetheist talking to a religious person (I hear you Devi. )so in addition to finding support it’s helpful to find the right kind of support. The good news is that there’s so many ways these days to connect with people. When I was first diagnosed, my doctor called up a “cancer coach” to talk to me. An older woman, who had my cancer. She was friendly and very outgoing, gave me her book/contact info. But other than being somewhat amused by this quirky woman, it wasn’t someone I could connect to. Actually, good thing I read her book after treatment, because I was in such a different situation being a young adult and having not as much support, the book would’ve depressed me. I had two young patients give me their contact info, but I didn’t contact them till after treatment either. For me, I didn’t want to be connected to others during my treatment. My situationo was different and I think I got through it better dealing with it myself. However, after treatment, I felt the need to connect more. I started out with more anonymous online stuff and reading others comments. I read your book, and that was the first time I really felt connected/validated. From there, I got more bold and was more actively posting, asking questions, etc. And now I look to mee or are very open to meet other young people, especially locally. Being with not so much local support has been hard, so I’m all about expanding my local network now. I also do feel I learned alot so far, medically,psychologically, so I am always willing to offer support if someone needs it. But I like others, just put it out there, often through someone else, and let the person contact me if they have any other questions. I think everyone’s experience is so different that it was hard to talk to other survivors at the time I had it because they didn’t always keep that in mind. I did not go to support groups, I was young, 29, and my oncologist thought it would not be a good fit – I only talked to a few close relatives and friends because I didn’t want to bring other people down – I think it would have been good to have a cancer survivor contact to listen, but not to scare me -because treatment and discomfort differs so much from person to person. I wasn’t set up with people as much as given books to read. I had a pile of other people’s cancer stories in print. There are a few people who think they’re my best friend now since they’ve learned we both had cancer. I’m sorry you went through that, but I still don’t like you. When I was in treatment, my dad got an email address for one of the guidance counselors where I went to high school and said that I could write to her because she has Parkinson’s. At this point, I’ll talk to anyone who wants to talk, whether they’re connected to cancer or not. The only time I can recall being the one to make the first move was one day in the infusion room, there was a woman roughly my age in the chair next to me. She and her husband (who was nearby) were both kind of freaking out — she had just been diagnosed the day before (I think), and I did strike up a conversation. Beyond that, I let people come to me. I was a single cancer survivor, and my friends did try to “introduce” me to a couple of single men, but none of them “got it.” “Getting it,” the whole life thing about going for treatments and not knowing if you’ll live past the 40′s, let alone into old age, is a big deal. I did find someone nice on the cancer survivor dating website, cancermatch.org , but that one didn’t last because of distance. I guess I’ll have to move to the big city, someday, and hope for the best.